Gawker broke the news about the Rob Ford crack video. Just about everything else the media has uncovered about our mayor’s troubling behaviour—its context, scope, and consequences—is thanks to the Toronto Star. The Star has gotten several things wrong in recent years, in its coverage of City Hall and more broadly. Most of its missteps—branding its crack video story as an exclusive when it came hours after Gawker‘s being the most prominent one—have grown out of the attitude it takes toward its own work. The Star‘s crack video story was many things: painstakingly researched, full of detail, and well worth being proud of. But it wasn’t an exclusive, and it was simultaneously silly and unfair to try to represent it as such. “Star gets action!” scream badges on too many stories, which could stand on their own perfectly well. It’s a gimmick that’s both obnoxious and unnecessary: the paper is much stronger than such ploys might lead you to believe. 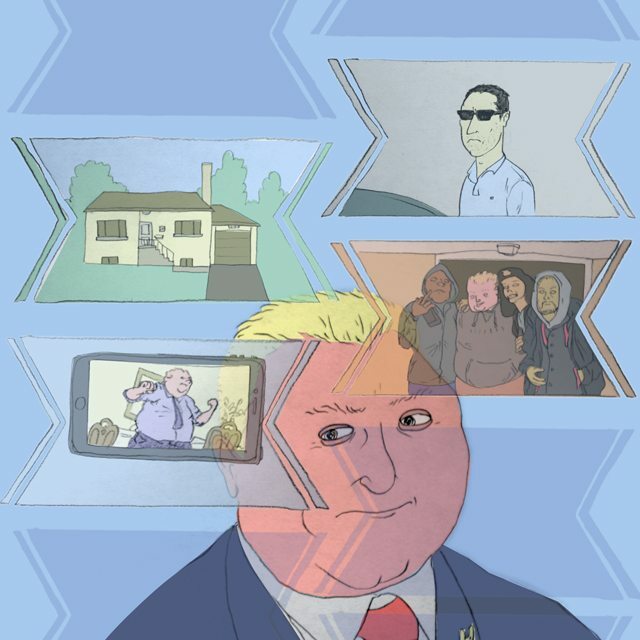 More substantively, before Rob Ford was elected mayor, the Star helped pave the way for his brand of symbolic discontent, publishing cover stories about councillors renting bunny suits and other tiny-ticket items as though they were major corruption scandals. In the years that have elapsed, however, the paper’s increasing focus on serious investigative work has given it a new centre of gravity. From ORNGE spending scandals to the over-representation of minorities in jail, it has pursued public interest stories vigorously, and brought key matters to light. The City Hall bureau, meanwhile, is by far the largest of any print or broadcast outlet: a tactical choice that benefits anyone with an interest in Toronto—which is to say, all of us. The Star is the only outlet that still has a dedicated transportation reporter, for instance, at a time when beat reporters are increasingly viewed as expendable. The paper is accused, loudly and often, of having a vendetta against Rob Ford. It is certainly fair to say that it has gone after him harder than anyone—but it is also fair to say that the results are proof it wasn’t chasing a phantom, either. The paper has persisted, though half of Torontonians thought it just made up the crack video story—at least until the police chief confirmed its existence—and its reporters have persisted in the face of public scorn and pointed, personal attacks from the mayor. Crucially, its investigations into Rob Ford have not exhausted its resources: it continues to put energy and talent into other City Hall stories. The reason we care about the crack video, fundamentally, is that it wasn’t the result of a one-time lapse in judgment. It is Ford’s larger pattern of behaviour that gives that incident meaning, and that helps us understand whether and to what extent that incident matters. And it is thanks to the Toronto Star that we know as much about that pattern as we do. Voters are better informed than they were before, and for that, we are grateful.